I am in the planning stages of redoing my office and craft spaces and I thought I might share with you some of the inspirations that I have found. I don’t have a room for either space so will be using tables and cabinets to makeover the areas. Please visit the individual links and/or pictures for each inspiration below to pin the original pictures. This table from Funky Junk Interiors was actually one of my first inspirations. I love the rustic feel and how long it is. When I am working on a project, it is so helpful to have the space to spread out, especially if I end up working on more than one project at a time. Pegboards in a creative space are invaluable for items that need to be within reach often but pegboard itself is not exactly pretty to me. These framed pegboards from Tatertots and Jello caught my eye because they look like artwork. The frames take away from the utilitarian feel of pegboard and make it pretty!! This piece literally made me gasp when I saw it on Funky Junk Interiors! What a perfect piece for craft supplies!! Unfortunately for me and Donna, the piece was sold already..for $90!!!! Unbelievable price! But it gives me hope that such pieces exist and maybe I will find something similar for my space (yes, I am dreaming, but just let me have my dream!). These chalkboards doors from Lolly Jane are just beautiful. What I love about them is that they are actually done with regular paint and then a chalkboard coating is added! This leaves the choice of colors for the side of my desk/cabinet wide open. 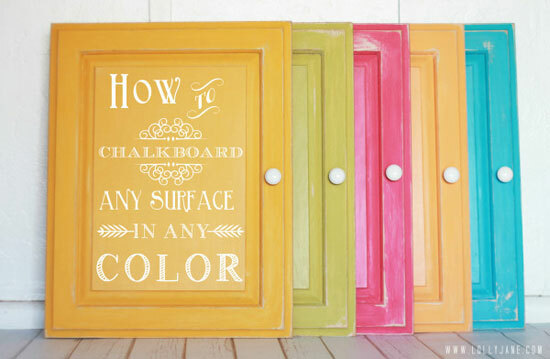 The cabinet will be in my living room, so I can now use the chalkboard as a burst of color for the room. 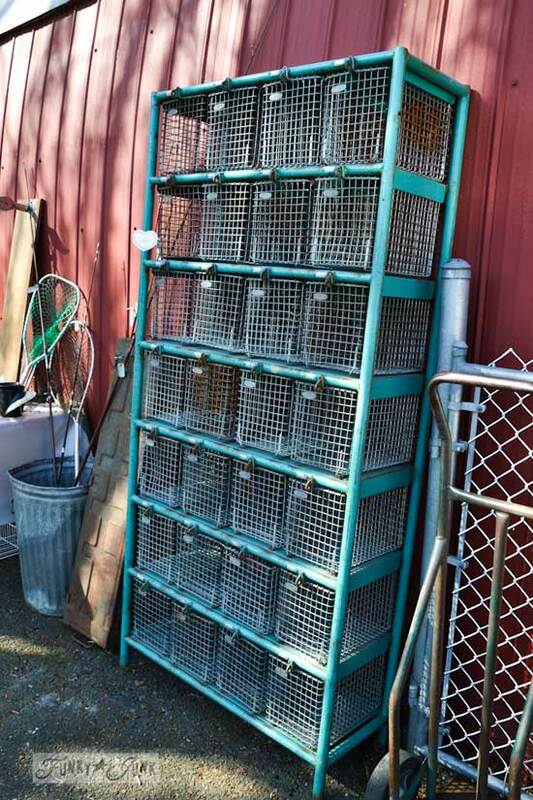 We have a local junk dealer where I am hoping to find a fabulous chair for my desk. 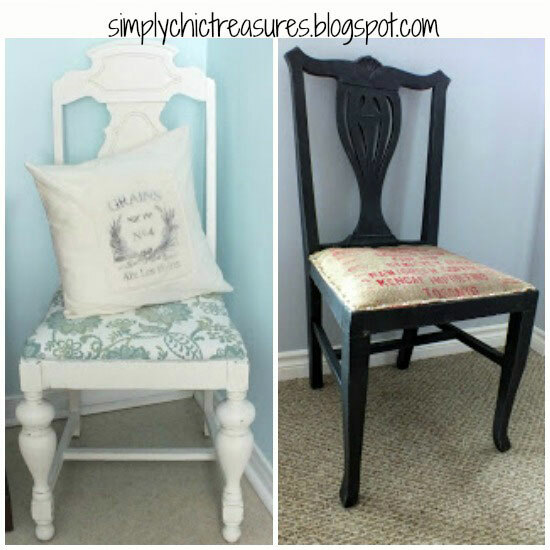 I love how Cynthia at Simply Chic Treasures redid these chairs. They have given me some cool ideas to work with! The burlap seat is fun but I will have to see if it will work with my living room. 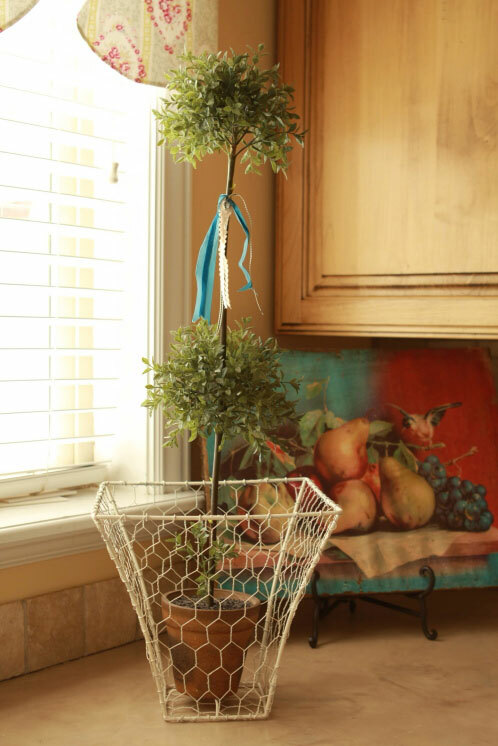 A waste basket will be a must for both spaces, and even though I already have them, this one just might make me buy some chicken wire! You can visit Calli at Make It Do to see how she made this unique piece. Of course, this space would be the ultimate! 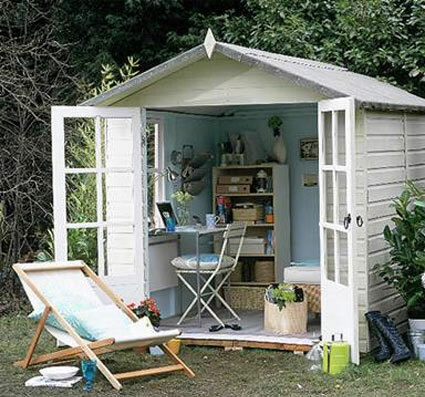 To have a little house to call a studio….aahhh…that is the best dream of all! 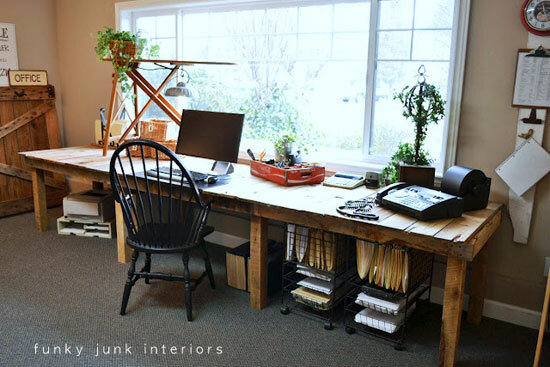 I hope some of these ideas inspire you if you are redoing your craft or office space. Feel free to check out my Pinterest boards for more inspirations and let me know below what you are currently working on! What would be your ultimate work space? What is your must have craft or office accessory? Wow, what great inspiration 😉 Love all of it! Thanks for visiting, Jamie! I can’t wait to get started on my spaces! That space is just the best! A separate studio from my house is the ultimate dream for me! Thanks for visiting, Nan. I will check out your blog. Thanks for the inspiration pics. i am in the process of trying to reduce my stash to fit into a guest/computer room. I need all the help I can get. Those locker baskets at $90!?! SWOON! Glad the pictures helped! Weren’t those wire baskets not amazing??!!! I am going to be on the lookout for something similar. Love these pictures…. like playing with your play room ha ha. May I invite you to come link it up at our party at http://www.finecraftguild.com/party-63/ ?! ‘ would love to see your creative musing there! Rose, thanks for the invite. I will definitely check out the link party! My favorite is definitely the Pegboard Organizational Wall. Now, if I can only find the time to try this. It would be so neat for that room that is not being used downstairs. Saw you on the Sharefest. Glad that you at least have a room to work with…I am working with a corner of a room! But I am grateful to have that! So… maybe we can work together? We’ll tackle your Craft Room and then we’ll tackle mine! Sounds good? I would like mine inside a Airstream Camper Trailer.. I did an inspiration post on Friday full of wonderful trailers! I loved the trailer post!!! So jealous of people that have them just hanging out in their backyards as an escape!! I would love to help with your room…lol!! Well, mine is not cute and super tiny! Hopefully I will get to change the cute part soon! The piece from Funky Junk Interiors is wonderful. I have always dreamed of having a little house in the yard to play in. It is not the best!? Here’s hoping you find your little house in the yard! Lol!